How many more will have to die crossing the Mediterranean before Theresa May admits she was wrong? How sacrificing other people’s lives for political gain reveals the cynical state of UK politics. The recently deaths of up to 900 people whose boat sank while crossing the Mediterranean, mostly women and children, is beyond sad or tragic; it’s just utterly shameful. These deaths are, by and large, preventable, or at least able to be minimised. What makes these unknown people’s deaths (along with the other 909 who have already died making the crossing this year) so shameful is why we do nothing to attempt to save these lives. The reason is related to racism, cynical politics, indifference, and a public completely out of touch with the scale of this tragedy and our complicity in its creation. Having adopted two daughters who only survived because of a rescue mission makes this an issue very close to my heart. Each person who drowns making this journey is someone’s daughter, a child’s father, an uncle’s niece. They are real people, just like my daughters, who have rights to a life, an opportunity to escape war and economic hardship, and some basic human dignity. 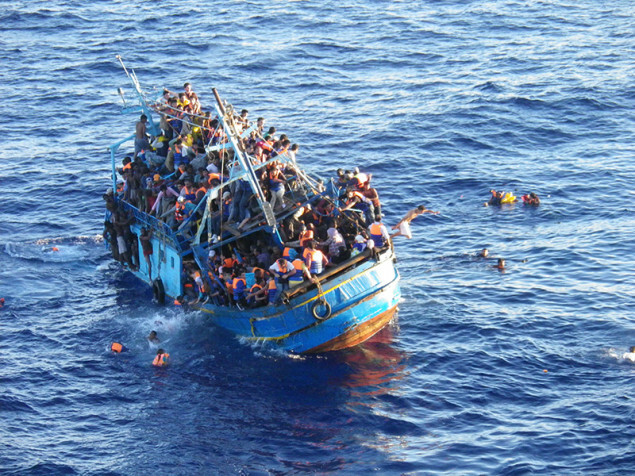 The UK government’s faulty and flawed logic underpinning this decision was that having some robust and focused fleet dedicated not just to boarder patrol, but also to search and rescue (such as the one implemented last year by the Italian government called Mare Nostrum), would encourage people to seek asylum. The theory, backed by nothing but their own opinions, was that taking away rescue operations would discourage people from making the trip, costing lives in the short term, but saving them in the long term. This much-needed sacrifice of other people’s children and families was a theory that has no backing or creditability amongst any organisation working in the field, be it UNESCO, Amnesty International, or any other charity involved in humanitarian aid. What we witnessed was politics at its most cynical and heartless, as the Tories needed to gain ground back from the anti-immigration party, UKIP, which was more vital than the lives of desperately poor Africans and Middle Easterners fleeing war and economic adversity. As easily predicted, the lack of search and rescue has not discouraged people from attempting to make this most perilous of journeys. 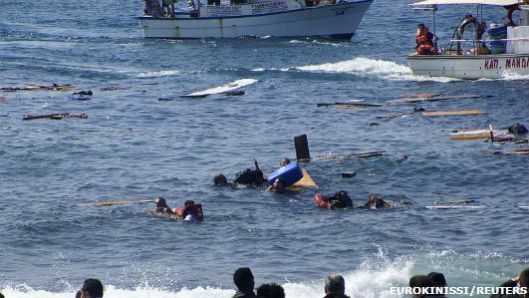 The disaster has renewed calls for the EU to restart full-scale search-and-rescue operations. Last October, European officials opted against creating a like-for-like replacement for Operation Mare Nostrum, an Italian-run rescue mission that saved up to 100,000 lives last year. Italy cancelled it in October, and in its place the EU runs a smaller border patrol service, amid claims that Mare Nostrum’s success was encouraging more migrants to risk death at sea. 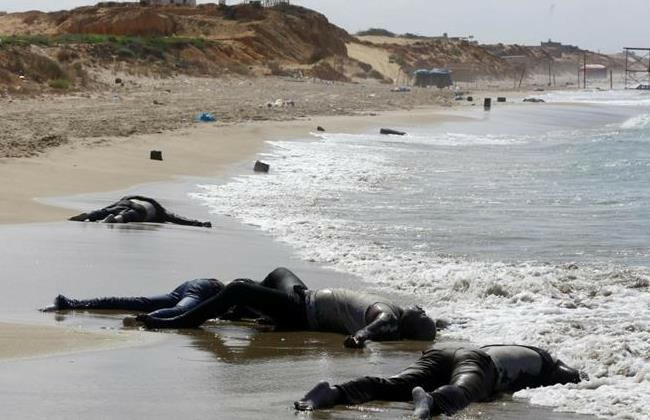 Instead the number of migrants at sea remains roughly the same in Mare Nostrum’s absence, and the number of deaths has spiked. Push, not pull, drives people to take this risk. Desperation, not calculated rational choice, drives people to a willingness to gamble their lives and the lives of their children. A cynical person could easily think the David Cameron party knew this when they made the choice to cease rescue efforts, and I would like to know on whose advice, or on what organisation’s input, did they come to their decision that pull, not push, was driving migrants to take that risk? What credible NGO or organisation gave them information for the basis of this policy choice? The death and devastation that is happening I predicted months ago, not because I have amazing precognition, but rather all the evidence pointed to this. The Tories, it appears, are willing to choose to ignore the facts in front of them, as they didn’t fit with the political agenda of that moment. So will Teresa May apologise to the families of those lost for such a fatal miscalculation? Will the baroness resign in shame for knowingly allowing this first wave of deaths to happen now that the “a few must die to save the many” logic has been shown to be faulty? UK politicians making these choices, contributing to these needless deaths, are far removed from the reality of what happened and the real-life consequences of what their amoral policy ends up translating to. They won’t be personally involved in removing from the water the hundreds of floating corpses of women and children, as the lives of nameless “unpeople” have no real value or worth in the eyes of those whose careers and agendas escape anything that resemblances even a sliver of humanity. 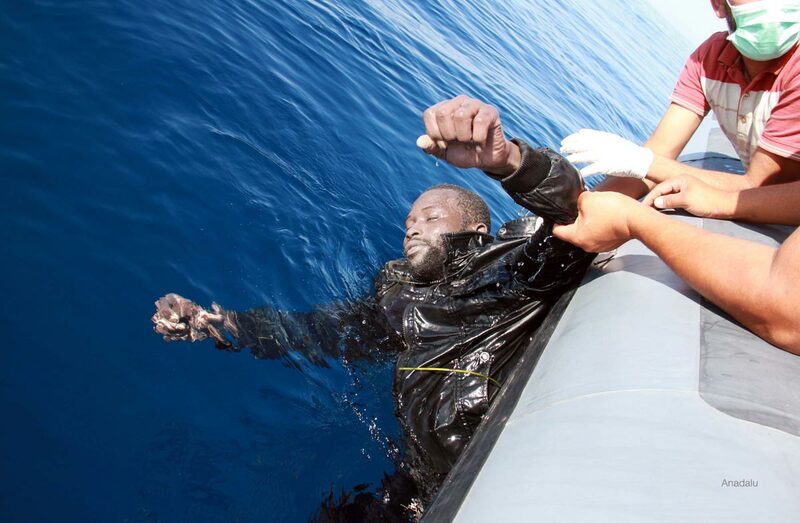 With the UK election drawing close, sub-Sahara Africans dying at sea is of no interest or importance. The fact that we have been part of the war machine that destabilised the Middle East and Libya, the fact that our violent exportation of neo-liberalism throughout the globe has ensured areas that are resource-rich (like Africa) have remained poor by design, and all the direct and indirect responsibility for the lives lost, to our politicians in Westminster means nothing: nothing to do with getting votes, nothing to do with getting the party donations required, and nothing to do with becoming personally enriched. What saddened me most is the thousands of graves dug for these nameless people. The thousands of graves made from the vast sea that swallows them. All followed by thousands of grieving relatives never knowing, only guessing what happened to those they loved. The inhumanity and cruelty that make them nameless will not stop there. Its ever-encircling indifference will get closer and closer to our own shores. We see it in the shooting of unarmed black men in the US. We see it in the growing underclass in the UK. We need to give names to the nameless, we need to turn the unpeople into people, and we need to bring heart back into the heartless politics that rules our lands. I can guarantee if we don’t, that cruel indifference will soon visit us all.